This banner stand is made from flat, ladder truss, which breaks down into a small pile that is easy to manage and transport. Flat Pack Truss. 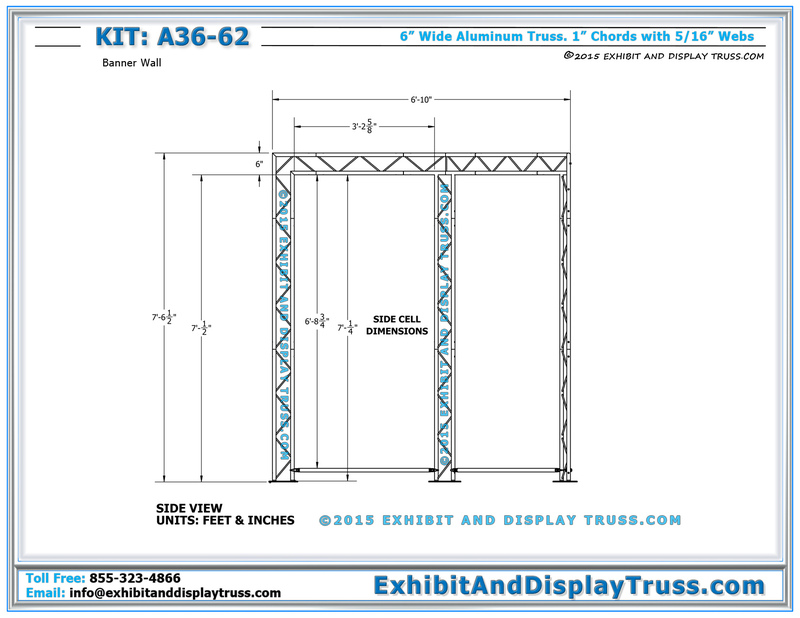 The A36-62 is made of truss parts no longer than 4′, which allows this truss system to break down into a small pile that is cost-effective to ship and easy to transport. 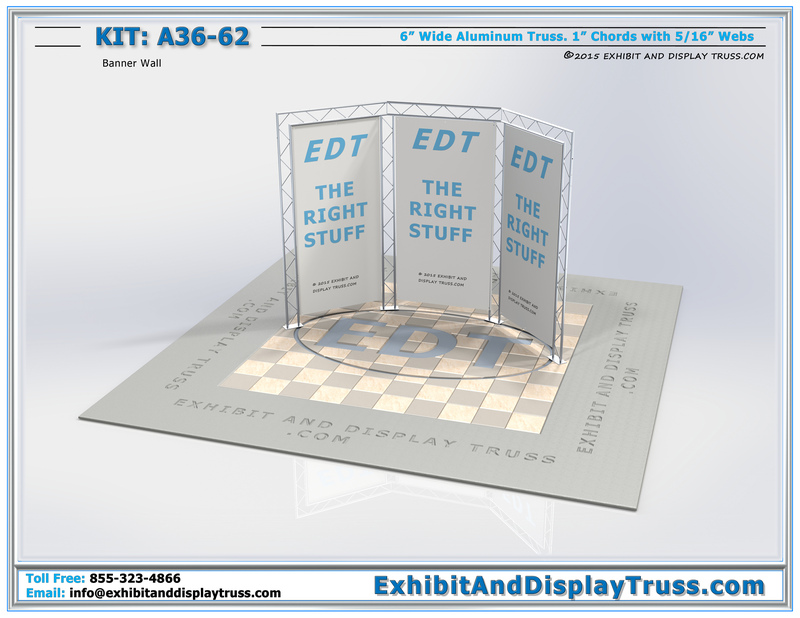 Flat Packing exhibit truss banner stands A36-62. This kit is the small version (using 6″ wide aluminum truss instead of 10″) of the A36-102. No part in this kit is longer than 3′, allowing it to be flat packed down into a small pile that is easy to transport. This banner backdrop fits within a 10’x10 trade show booth. 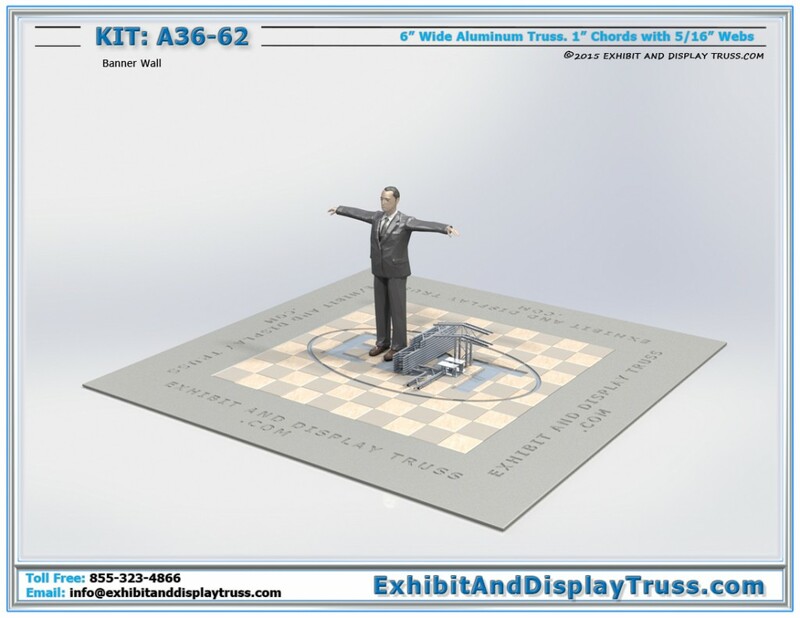 The A36-62 is an additional feature to help with trade show booth design ideas. This wall is another tool to help attract visitors to your company’s trade show booth. 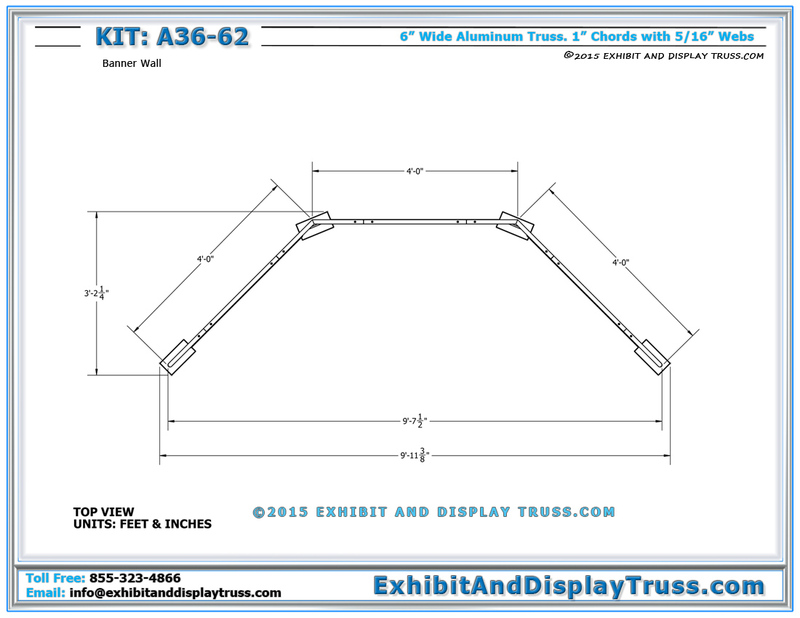 The A36-62 truss banner sling is used to display trade show banners and graphics. 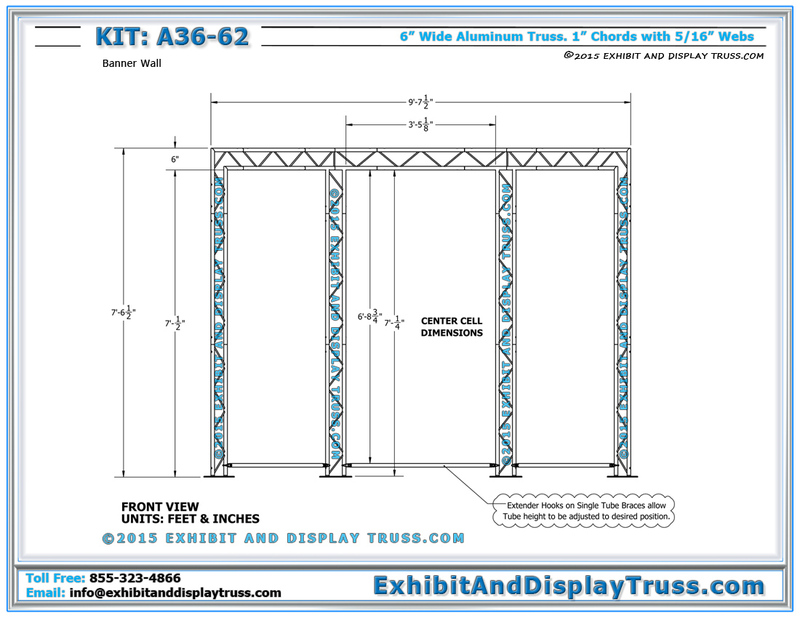 The A36-62 truss kit can also be used for museum displays and museum exhibit design. This kit contains easy truss to set up and take down. LDS is the best source for trade show display ideas. 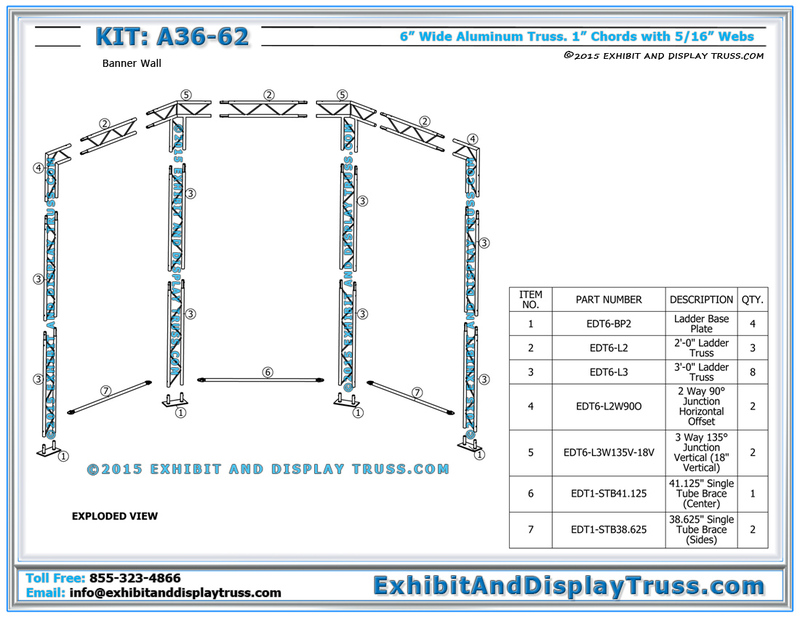 The A36-62 banner sling can serve a variety of trade show truss applications. It can be used as lightweight lighting truss, back wall for metal truss trade show displays, or trade show backdrop. Truss components are constructed of square, triangular or flat pieces. All of our truss structures are designed for ease of assembly and available in a number of designs and sizes. Our truss systems are constructed of durable, high-strength aluminum and steel for supporting LED or plasma screen mounts, banner frames and sign frames, lighting stands and other accessories. Aluminum truss is lightweight and highly portable. Easily transport to any convention center.